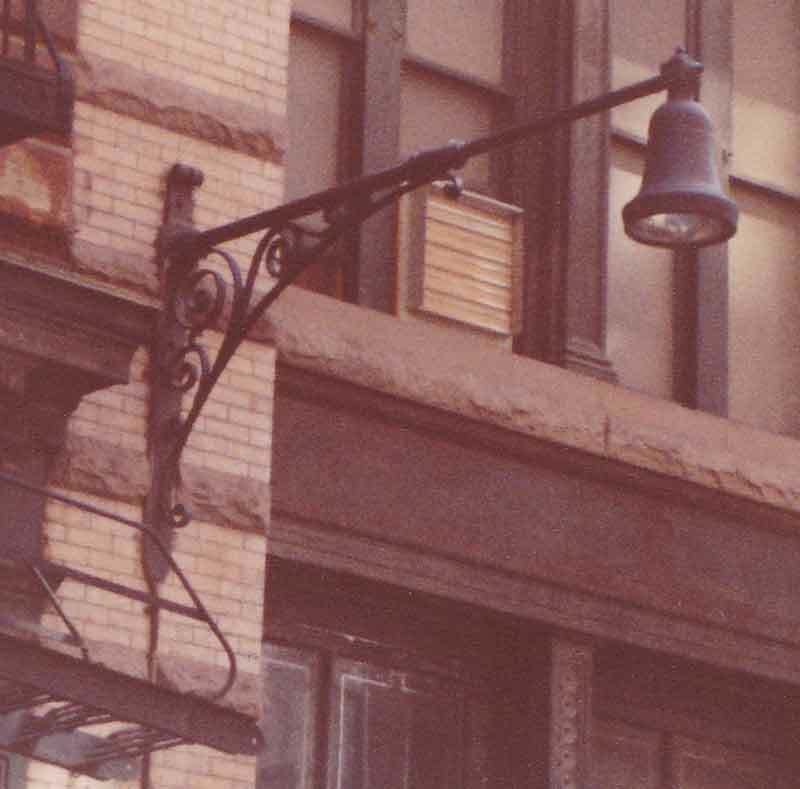 The long forgotten day in 1982 when I went roaming lower Manhattan looking for cast iron oddities, I came across this wonder, bracketed to an old loft building on the lower West Side. Unfortunately, I was a lousy record keeper back then and didn't write down the streets I found these things on. If that building still exists, I figure its a sure bet this lighting mast is still attached to it. In fact, if this building became a hoity toity rich person's condo conversion in the 30 years since I shot this, this mast arm may well be sporting gold plating. I would hope the least the rich occupants would do is replace the missing diffuser bowl on the Bell fixture.